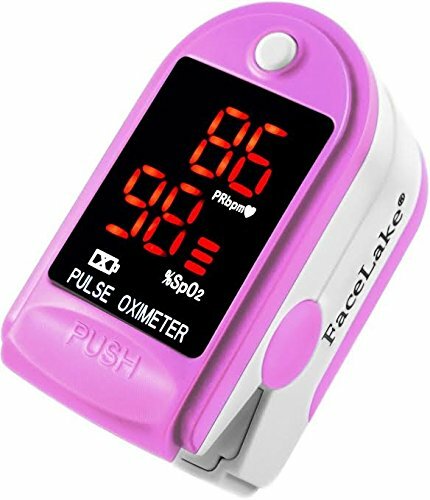 FaceLake Pink Pulse Oximeter, including Carrying Case, Batteries, Neck/Wrist Cord, From the factory, there is a clear screen protector which can be removed before use. 1. Nail polish can influence the accuracy of measurements. 2. Please keep your body and hand stable. Readings can be taken after the pulse diagram has stabilized. NOTE: This device is for Sports & Aviation use only and is not a medical device. If you have any questions about this product by Facelake, contact us by completing and submitting the form below. If you are looking for a specif part number, please include it with your message.